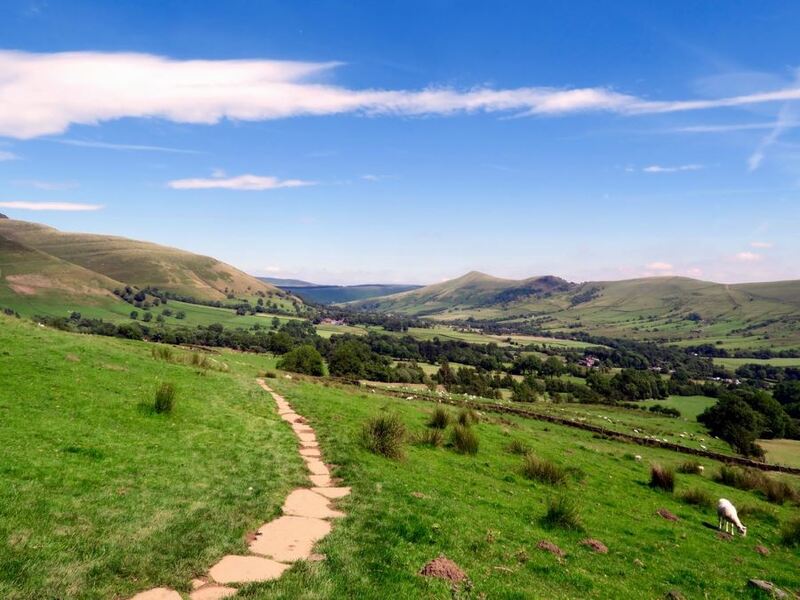 The UK’s Peak District National Park offers outdoor enthusiasts something rare in European hiking: the opportunity to trek across trails through all four seasons. Nestled at the foot of the Pennines, the Peak District is one of the most diverse and breathtakingly beautiful locations in the entire country. From rugged limestone valleys of the White Peak to the wild moorlands of the dark – with undulating hills, dramatic escarpments and quaint villages in between – you’ll find endless variety of walks to choose from. 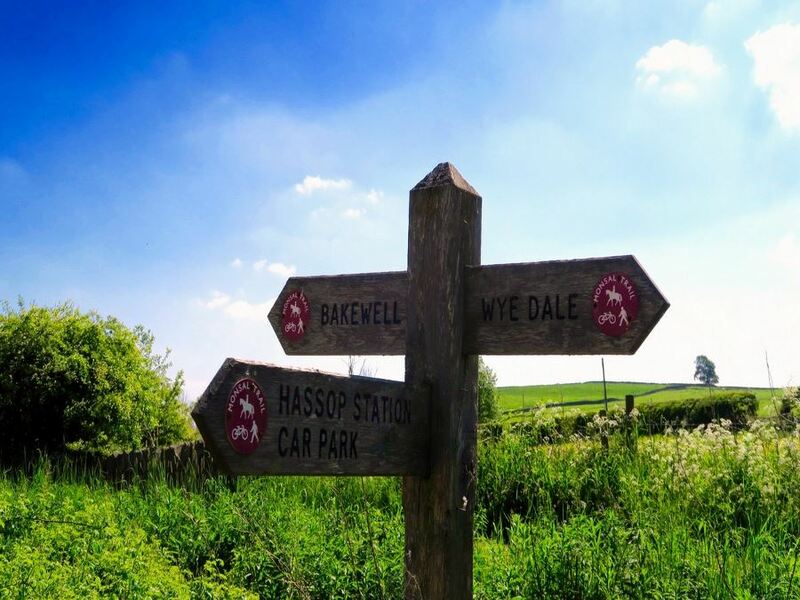 Many of the trails listed here are ideal for intermediate walkers, and with the UK’s “outdoor city” of Sheffield sitting right at the doorstep of the Peak District you can conveniently access this magical place all year long. 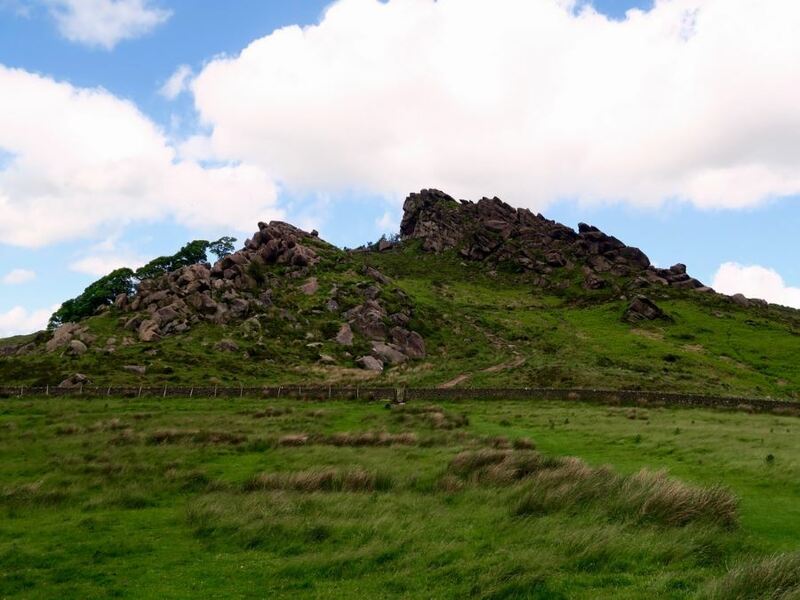 This Padley Gorge walk begins at the striking Longshaw estate. 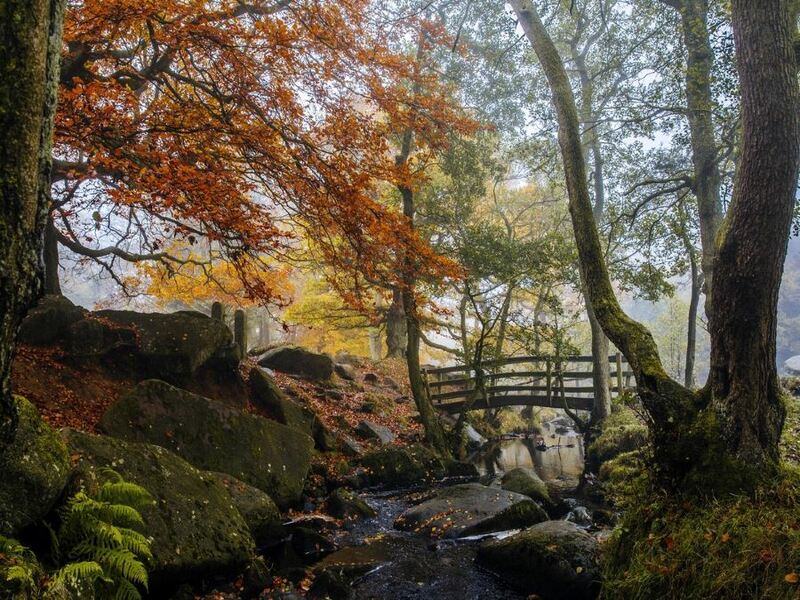 You’ll follow a babbling brook through the Burbage Valley, before reaching the small village of Grindleford. End the journey with a walk back through Yarncliffe Wood. A perfect family friendly hike!  Test your endurance with the Dovedale Circular trail! 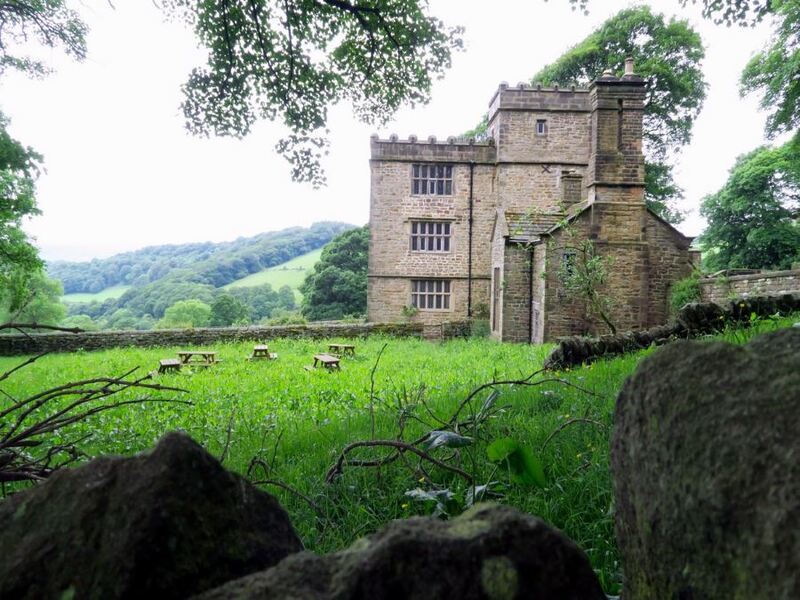 You’ll begin near Ilam, following the winding River Dove towards Mildale before taking in the impressive limestone at Lover’s Leap, Tissington Spires and Dove Holes. With the “easy” part over, your legs will be burning through the return, where you’ll climb out of Doverdale up to the summit of Bailey Hill. But don’t worry, spectacular panoramas await. Don’t let the childish name fool you, Kinder Scout is not for the weak! The Kinder Plateau is the most physically demanding trek in the Dark Peaks. With deep cloughs, dramatic edges and peaty trails, the magic of the area will sure to stay with you for years to come. Want to be inspired like the literary great Charlotte Bronte? Along the Stanage Edge from Hathersage walk you’ll take in the beautiful landscape valley that inspired many of the author’s classics. You can enjoy the iconic Stanage escarpment – and make sure to be impressed by the ambitious crag climbers below! If you’re looking for some quiet from the crowds that normally come to the Peak District during the holiday periods, check out The Roaches. With an unusual sandstone landscape, ancient woodlands and unforgettable views, it’s no wonder this area inspires famous tales and British climbing legends. 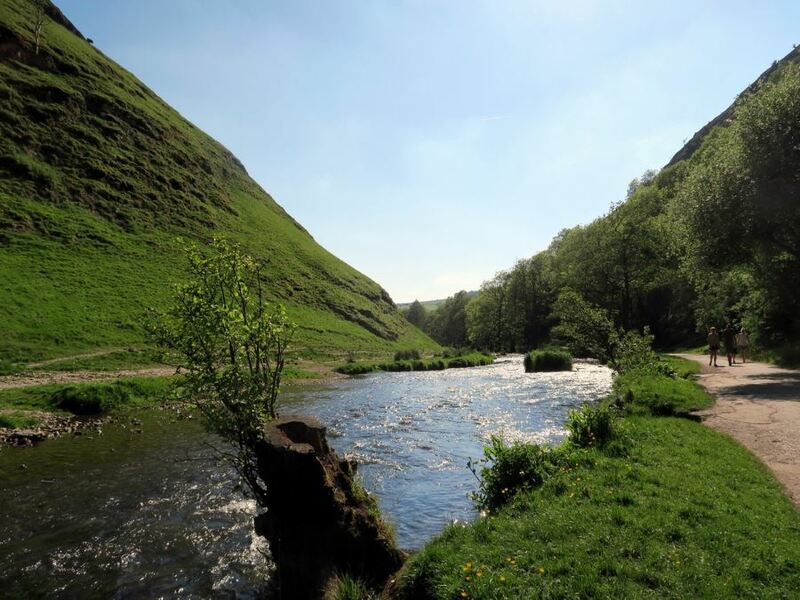 Explore the hidden Manifold Valley on this hike in the Peak District. Start at the sleepy village of Wetton before following a subterranean river system to discover one of the largest natural caverns in the entire park – Thor’s Cave. 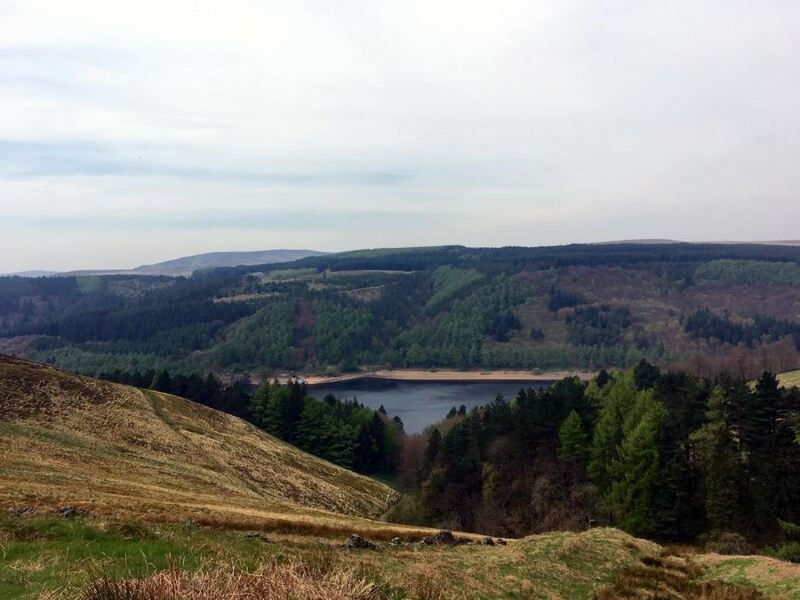 Derwent Edge is one of the most popular routes in the Dark Peaks, guiding walkers up from the Lady Bower Reservoir to steep, wood-lined cloughs before emerging at the top of the moors. On a clear day you can expect exceptional views of the Derwent Valley and the unique sandstone tors. 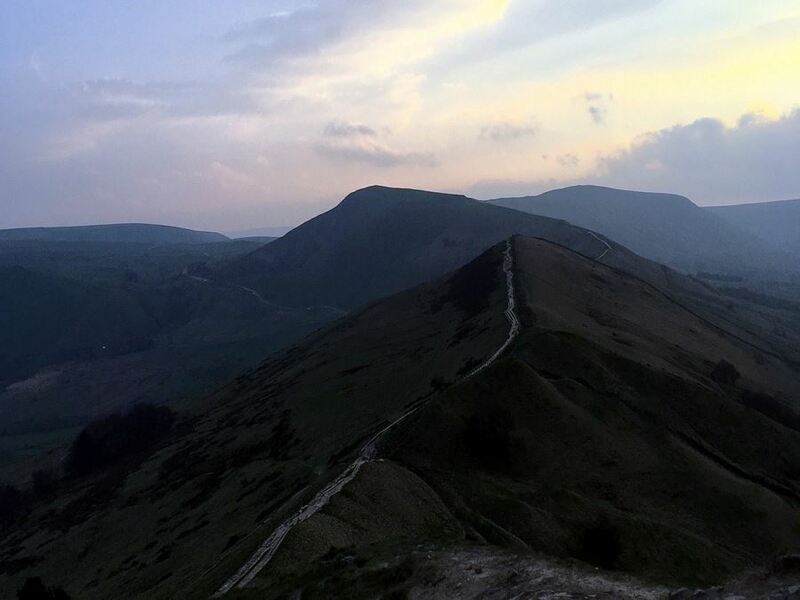 The Mam Tor Circular is a short, family-friendly hike steeped in ancient history. In just a few hours you can explore some of the Peak District’s most iconic views. The Monsal Trail is a must-see when hiking in the Peak District. With spectacular views and minimal elevation gain, you can see some of the area’s most spectacular limestone dales. The Great Ridge is probably the most walked ridge line in all of England. 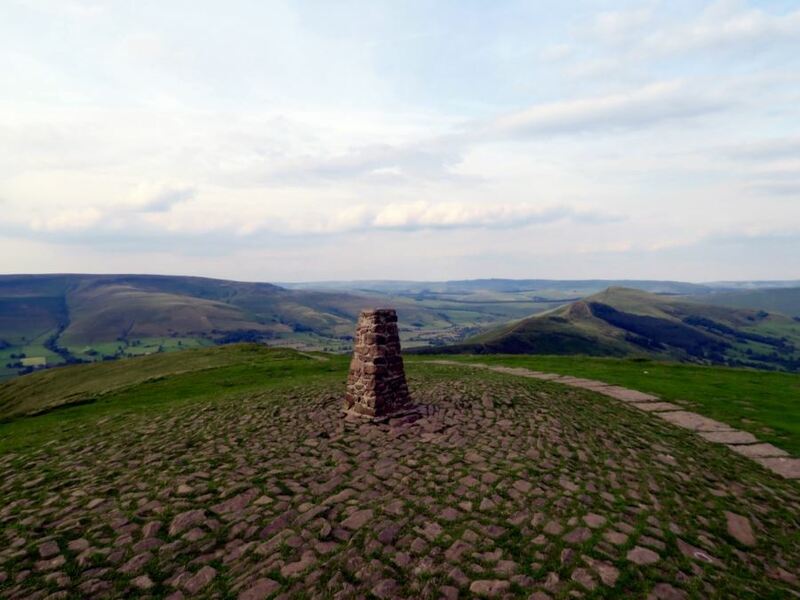 This route connects the summits of Lose Hill (476m) and Mam Tor (517m), while dividing the grit stone Dark Peak in the north from the limestone dales of the south. When you add Win Hill to the hike, it makes a truly challenging and spectacular adventure.